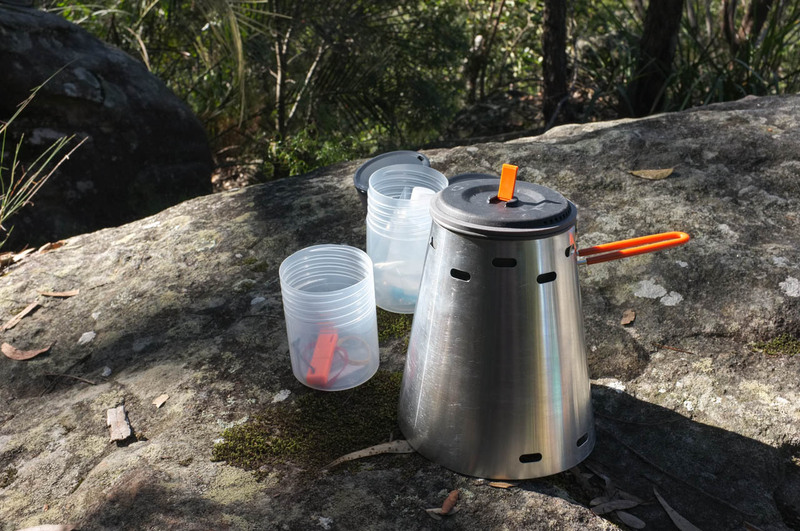 The Caldera Cone is a lightweight methylated spirits (or denatured alcohol) cooking system that integrates a “pepsi can” stove and custom-made aluminium windshield/pot support. It comes with a fuel bottle, measuring cup and plastic caddy for storage. The second point is important since various websites have debated the relative virtues of the many stove fuels on the market. But the Caldera Cone’s (mainly American) proponents point to the excellent fuel efficiency of the Caldera Cone. And so I ordered myself a Caldera Cone, fitted for my GSI Halulite Dualist anodised pot. This is a first-impressions review and I will update the review with some long-term observations in time. Get yours from Trail Designs. 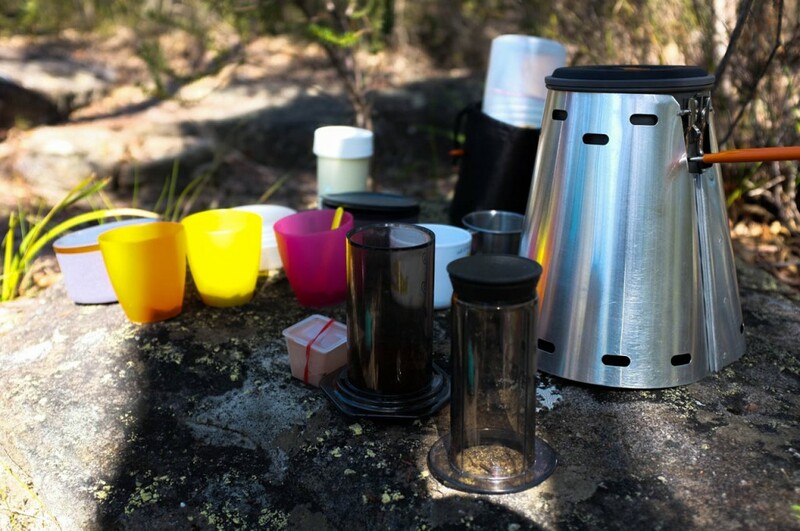 Caldera Cone and GSI Halulite Dualist: great for making coffee and hot chocolate on a day walk. I love this stove’s performance and the fact that it’s powered by metho, the most easily available of fuels (just about everyone will have some in the cupboard). It boils water very efficiently and pretty quickly (about 7-8 mins for 500ml, using 20ml of fuel – which provides an additional 1-2 mins burn after water has reached a rolling boil). It can be used to cook basic meals though really it’s designed to boil water (I cooked a fairly basic dahl) and it doesn’t win points for versatility. I have yet to test out the optional simmer ring. My estimate is that 120ml of fuel would easily be enough for 2 people for a 2-3 night hike – assuming two hot meals/drinks per day each. Finally, it’s much more stable than any gas stove – almost rock solid, even if the cook surface is not entirely level. I’ve only tested the stove in mild conditions but according to other reviews, it does pretty well in the snow too (but will obviously use more fuel). 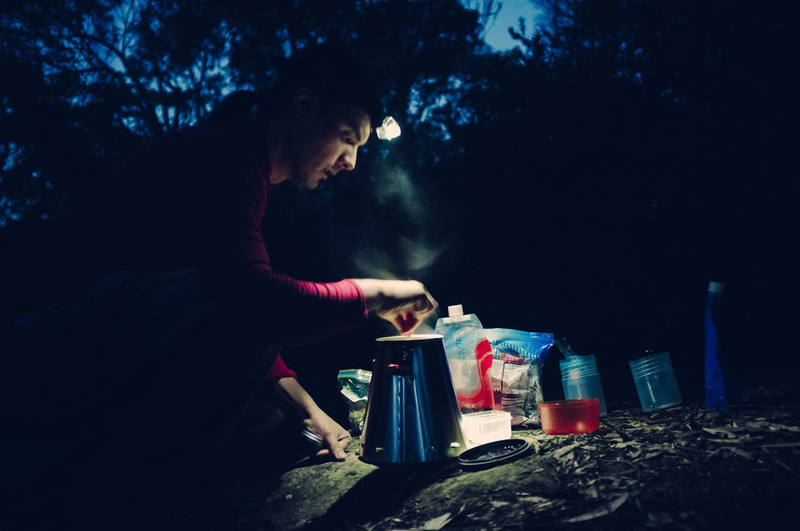 The stove and fuel combined are light – very light. You also don’t have the dead weight of a canister to carry around, just a plastic fuel bottle. The stove’s efficiency means you will need less fuel than your typical alcohol stove too. Total weight for all components is about 140-150g (excl. fuel). Some people use the caddy as a mug and bowl (it’s food grade plastic) but I prefer to keep my fuel in there and use my GSI pot set. The packed size is the only drawback here: the stove and pot stand roll up into a plastic caddy that is about the size of a 1L bottle, which takes up more room in the bag than a gas canister. I store my fuel bottle in there. Not a big deal overall but something to keep in mind. At some stage, I might invest in their titanium Sidewinder or Fissure system (which pack into a pot and can be used in wood-burning mode with titanium cookware). The stove is completely foolproof to use and easy to set up – just unroll it and slide the dovetail closure together. After measuring the right amount of fuel and pouring into the stove, I light it with a spark from a firestarter and it catches almost without fail. You need to be careful with storage so as not to damage the dovetail. As mentioned above, I’ve managed to use the stove safely on surfaces that would have been a bit dicey for a canister stove. At $US 34.95, the Caldera Cone is very good value. Some would say that it’s a lot to pay for a one-trick pony. A $5 gas stove off Ebay is possibly better value and more versatile but you need to factor in performance and reliability too. Unfortunately, postage to Australia added about 50% to the price (factored into the rating). It’s only available from the USA. The Caldera Cone will only fit a single pot and is supplied to order. I got mine to fit the GSI Halulite Dualist Pot so you need to make sure that your pot will fit or buy a pot-stove bundle. Cooking a dhal on the Uroola Falls walk. If you are worried about weight, mainly eat dehydrated food on a trek or don't like gas stoves, this stove is a must. It boils water efficiently and is basically foolproof. It gets marked down because it will only fit a single pot, isn't meant to be used for complex meals, and takes up a bit too much space in the pack. I will be using this for all solo walks and lightweight group walks. It works well on a larger group walk when paired with a gas stove. 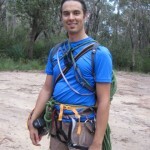 Thanks James – nice cuppa too! Thanks Paul. Yes: I love making hot drinks on day walks now. I’ll post an article on the Kingfisher Pool walk soon but will send you a few photos before then.